I look forward to carving the turkey because at its core, it is an operation. The incisions to disarticulate the limbs are planned to preserve as much skin on the carved meat as possible because the skin has about 80% of the flavor. The cuts are designed to allow the soft long muscles of the thighs to maintain their texture while the four drums sticks –the femurs and the humeruses bilaterally, are set aside for those relishing the birdly wands. The flats of the wings, the radius and ulna, are kept with the one remnant digit. I like to think that the original therapods from which this turkey descended were not much different or less delicious. The breasts are always difficult to remove with enough of the core –the meat tight to the sternum and rib cage, that is the juiciest meat because it was the last to cook. I feel bad for those who must have white meat, because the breast is all about texture and juices and not at all about the essence of the turkey which lives in the thighs, especially the small muscles of the pelvis. From the breast, I carve broad steaks. I divide the dark meat from the white to make the choice easier. Our turkey this year was “catered” in the sense that we picked up an organic, free range, Amish turkey –it probably even had a name. At first, I balked at “catering” something, then cooking it myself, being used to the amazing holiday catering at the Wakonda Club. The fixings were done and were great. The turkey was the cleanest, freshest smelling turkey I have ever worked with. 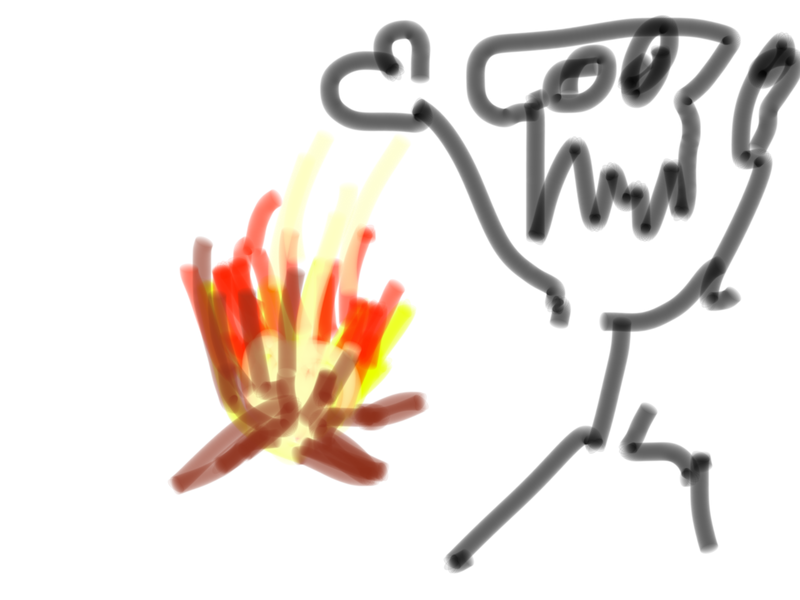 There is a rule about fish that I extrapolate to all meat which is if it smells bad, it is bad. While I apply this rule to fish, it is not infrequent that I hold meat to a lower standard and that is something that I will reconsider. Packaged chicken and pork typically smells horrible. Chickens reek of a smell which I interpret as boiled feathers. Freshly butchered chickens are usually hand plucked, but industrial processing requires expediency and this means dipping the chicken in boiling water to make the feathers easier to pull off. I think this is the smell that’s on industrial chicken. Pork has other odors, even less pleasant. Both will often smell like a unclean toilet –the kind you run into at concerts and football games. And on top of all of this, there is ammonia. I detect ammonia at a subconscious level because I have spent most of my life working in hospitals. This is all over many packaged chicken and pork products. I will cut down the amount of meat we eat and the meat that we choose will have to pass the fish test. The turkey was sublime, full of natural flavors and textures that I hadn’t appreciated in a long time. 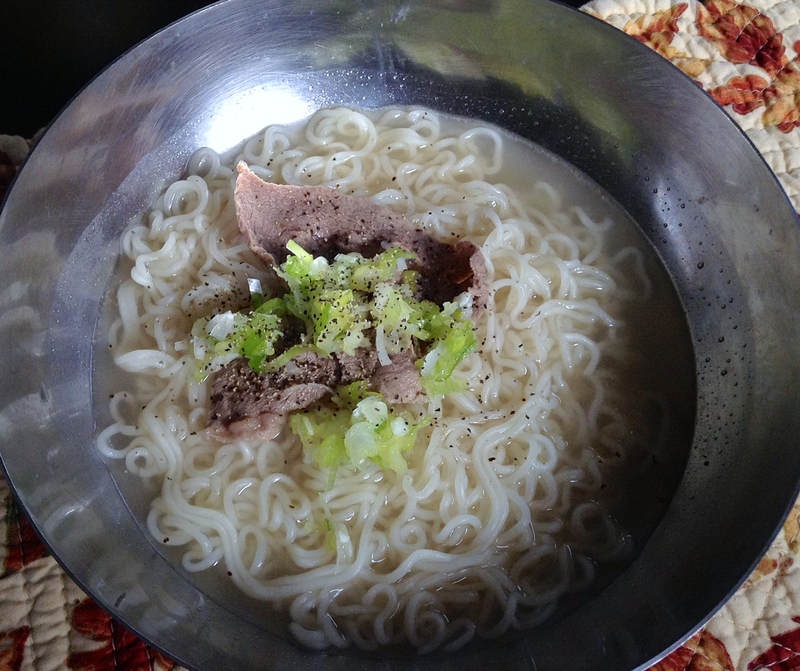 Gomtang Instant Noodle Soup -it’s all in the soup. The food alchemists in Korea have many years and lots of resources to tweak products towards a kind of perfection that the Korean market demands with the byproduct that Asia as a whole likes South Korea as much as it dislikes Japan and distrusts China and especially its food. 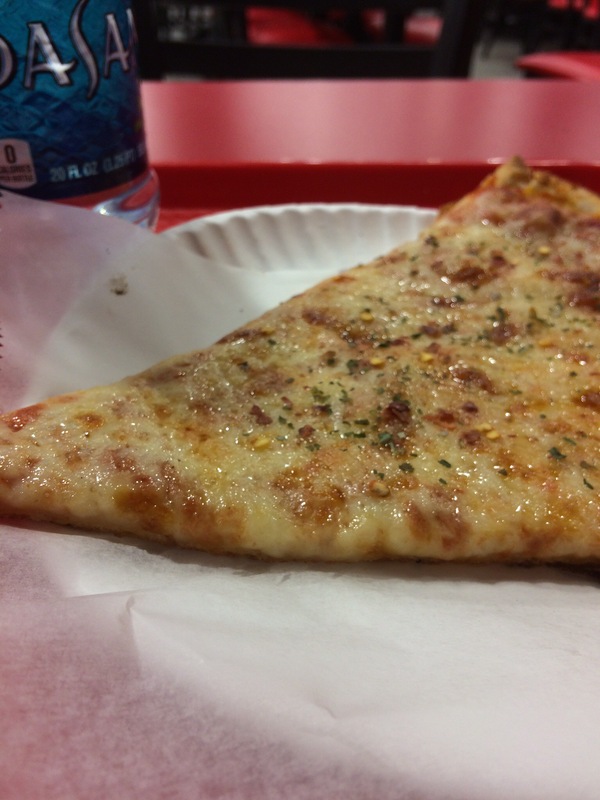 It creates a perfect storm for instant foods that recreate the sensation and feeling of the real thing. In this case, Gomtang, is a dish that takes days to make, involving the boiling of oxtail and bones for days resulting in a rich and hearty stock that is seasoned only with a dash of salt and chopped green onions. The boiling over days leaves your house smelling like a glue factory and it’s largely outsourced to restaurants that specialize in gomtang or sulungtang (alt word, basically same thing) like Gam Mi Ok in midtown Manhattan, where the soup is kept going round the clock for decades in giant cauldrons, served with simple flour noodles of vermicelli gauge. 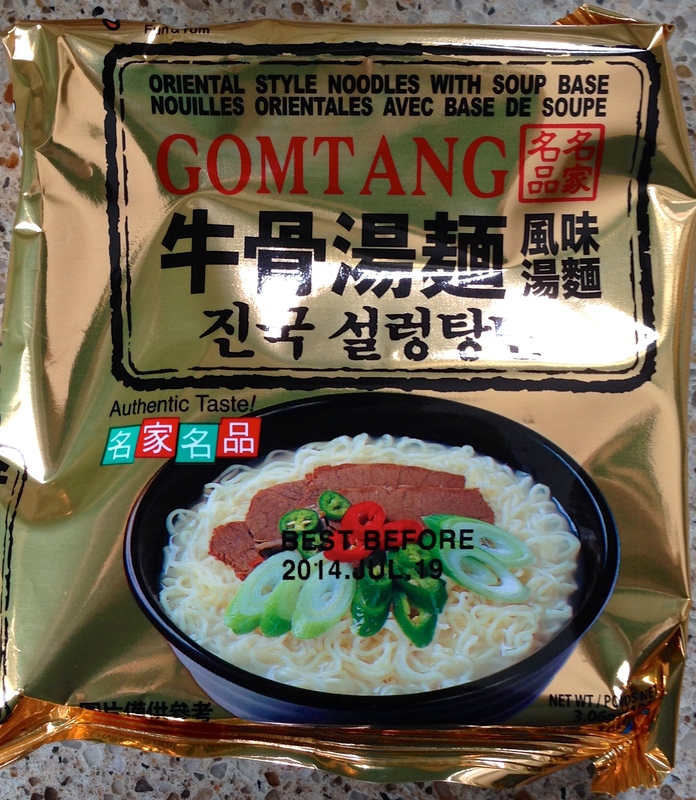 The Gomtang package noodle pictured above claims to give you the same taste. And it does. I made a batch for lunch for my family using these packs, and I did add sliced round cuts that I dipped in the soup to brown and quickly put aside for adding to the final dish. The soup, which is a bit salty like every package ramen dish, looks and tastes just like a decent gomtang. The beef that I added gives it a few added globules of beef fat which only adds to the authenticity. Add chopped green onions and for a moment, you are sitting on 32nd Street in Manhattan on a cold day savoring your gomtang. I do have to add that while it tastes good up front, there are missing flavor notes that give it away as not completely authentic. There is a flavor and soup texture added by the solubilized connective tissues of oxtail that leaves a sticky residue on your palate and makes the beef flavor linger -this is missing. Also, I would avoid drinking up the soup as it is a lot of unnecessary sodium to add to your diet. As a carrier and sauce for the noodles and added beef, it is perfect on a cold fall day, and I recommend it in moderation.